Field Projects is pleased to present IMPOSSIBLE GEOMETRIES, curated from Field Projects’ recent open call by guest curator LAUREN HAYNES, Associate Curator, The Studio Museum in Harlem. The exhibition features work by Cudelice Brazelton, Tom Butler, Sophie Grant, Shanti Grumbine, Robin Kang, Tina Kohlmann, Khánh H. Lê, Maria Liebana, Megan Mueller, Alisa Ochoa, Mary Tooley Parker, Sarah Von Puttkammer, Sarah Schneider, Millee Tibbs, M. Giovanni Valderas, Fiorella Gonzales Vigil, and Stephanie Woods. The seventeen works in Impossible Geometries explore form through a focus on materiality. They come alive through the artists’ selection and handling of media and materials, demonstrating a playfulness that sometimes verges on a state of unravelling. Artists in the exhibition utilize traditional materials, like paint or paper, in unexpected ways or combine unexpected materials in ways that only become visible upon close examination. 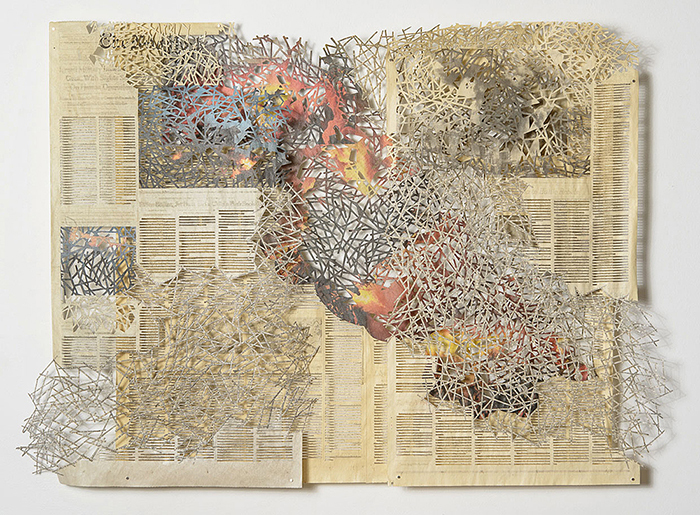 In both instances, the works in the exhibition are united by their urge to transform and rework materials into new objects that seem far from their original context or purpose. Together they exemplify a desire to create new experiences through recognized methods of production. Lauren Haynes is Associate Curator, Permanent Collection at the Studio Museum in Harlem. While at the Studio Museum, she has organized and co-organized exhibitions including Stanley Whitney: Dance the Orange (2015); Speaking of People: Ebony, Jet and Contemporary Art (2014 -15); Carrie Mae Weems: The Museum Series (2014); Fred Wilson: Local Color (2013); Fore (2012); Gordon Parks: A Harlem Family 1967 (2012); The Bearden Project (2011-12); and Spiral: Perspectives on an African American Art Collective (2011). 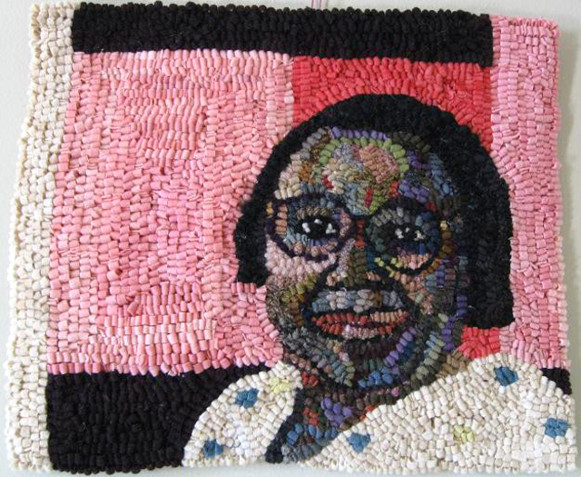 From 2010-2014, Haynes coordinated the Museum’s Artist in Residence program. Prior to joining the Studio Museum as a curatorial assistant in 2006, Haynes was a departmental assistant at the Brooklyn Museum. She holds a B.A. in Art History from Oberlin College.